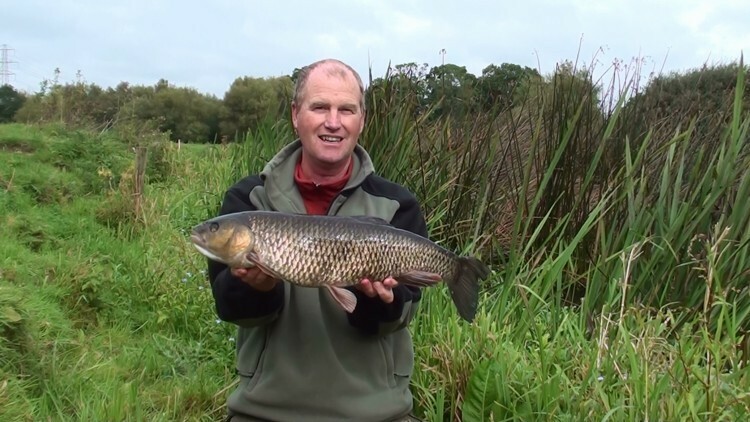 So this was due to be a very short session on Horseshoe as the junior carper were due a teach-in session for the weekend and I needed to be off by 12.00 noon. So it was 30hrs. I arrived at 7am in the morning to find that summer bay was almost empty of anglers. The weed is not growing too much. What is going on with the weed this year. It’s a very strange year indeed. I cast out to the clear area and there my baits stayed untouched for most of the day although I recast every hour. I could see no tench moving although a few more carp were maneuvering into the bay. The temperature was increasing so who knows what would happen. My worst fear was that the carp would move in to spawn and that the juniors would struggle to catch. It’s so important that we should try and get youngsters involved in angling. Us Tench Fishers need to think about this for the future too. During the evening a couple of tench rolled over my baited area. At 7.30pm I had a bite from a tench of 6lbs 14oz which was so full of spawn I’m sure she was ready for giving birth on the mat. I wish I had taken a photo, but in her condition I wanted to slip her back asap. Then I lost a carp when the hook pulled out. No brown monsters for me! Then at 9.30 pm I had one more tench of 4lbs 9oz which was a female which had no spawn at all. The night was quite other than the carp crashing at the entrance of summer bay. The carp guy opposite me had 4 carp. It was intesresting that I told him of seeing fish there for the last 2 weeks so off he went to fish there. Lets hope some of the juniors fishing with him would catch too. I’m growing weary of spending time in the bivvi, November to May you will go nuts. Soon it will be time for these monsters. This entry was posted on Friday, June 3rd, 2011 at 10:05 pm	and is filed under Uncategorized. You can follow any responses to this entry through the RSS 2.0 feed. Both comments and pings are currently closed.